What is an FHO Surgery? Why Did Muphie Need An FHO Operation? 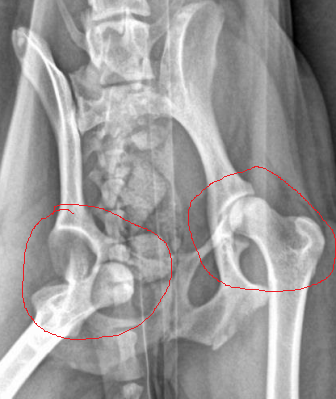 Some of the reasons a pet may need an FHO surgery can be Hip Dysplasia , Trauma, Legg-Calve-Perthes Disease (in both dogs and cats) , Dislocation (or Luxation) of the Hip. In Muphie’s case, it was a dislocation. Muphie is a miniature poodle who weighs just under ten pounds. Early in March, she fell off of the couch and immediately began limping. Her family took her to their regular Veterinarian for an examination. Her Doctor determined her hip was luxated (was dislocated). He was able to manually put it back into place. Muphie went home and her family kept a close eye on her, restricting her activity. As time passed she improved and the family was slowly allowing her to return to her normal level of activity. One day in late March, her back legs collapsed. Muphie was unable to bear any weight on her right hind leg. Her parents took her back to the hospital, but this time the Doctors were unable to get her hip to stay in the socket. They recommended the x-rays of the hip. The x-rays confirmed she needed FHO surgery. The cost of the operation was out of reach for her family. Muphie was in a great deal of pain. They love her so much…what could they do? Muphie’s family was in a terrible position. Not being able to afford the very costly operation, they made the only choice they could to relieve her of her pain. With heavy hearts…they made an appointment to have her euthanized. They were all devastated. She had been a very important member of their family for many years. Frustrated and desperate, Mom got out her phone and started Googling. Suddenly, the Helping Hands Affordable Veterinary Surgery & Dental Care website appeared. She clicked through and found they could come up with our cost for the FHO operation ($995). They live in Massachusetts, but were willing to travel to Virginia to save Muphie’s life. Mom called and spoke with a receptionist named Debbie who explained we would need her Veterinarian to send us the x-rays and notes recommending the surgery. Shortly after that conversation, Mom sent an e-mail, making sure we had received everything. We received the x-rays and the notes on the case; our Doctor’s reviewed everything and approved Muphie for surgery. Brittany called Mom and set up an appointment for that Friday. The family immediately began planning their travel and arrived early Friday morning for Muphie’s FHO surgery. They were so grateful, and we were so grateful they found us and we were able to help! We all hugged and shed a few tears at Muphie’s discharge. When we called to check on Muphie the following Monday morning, Mom told Emily “She is actually getting better every day!“. The Helping Hands Mission Continues! 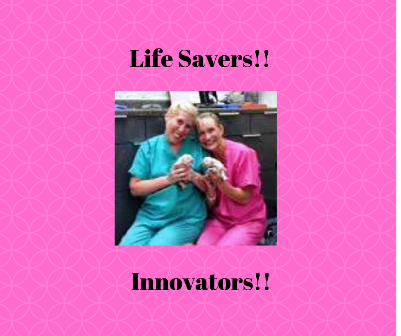 Eight years ago, Jacqueline Morasco and Dr. Lori Pasternak started Helping Hands Affordable Veterinary Surgery & Dental Care with the Mission that no animals go without the surgery or dental care they need due to prohibitively high costs. By limiting what we do to ONLY surgery and dental care, we are able to offer these often very expensive services much more affordably. We are dedicated to practicing this mission every day to help pets like Muphie and her wonderful family. We truly have the BEST job!